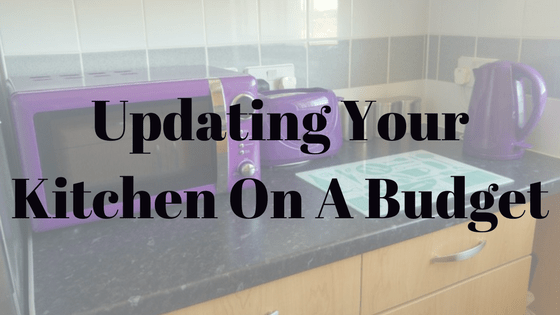 Updating your kitchen on a budget? We have done the same and have some helpful tips to get you started. Following our kitchen, bathroom and toilet refit I decided to change the colour scheme to purple, of course! I was worried when we started as I didn’t really think updating your kitchen on a tight budget was possible. Luckily there are some fab deals around! You may remember I managed to get a purple microwave, toaster and kettle all for a reduced price as I waited for a deal. I snapped them up as soon as the price dropped and was really pleased with myself. These items can really help you work out the rest of your kitchen too. They don’t have to be overly expensive to look nice or do the job either. I picked up all 3 appliances for just £60! There are some great microwave deals out there as well as kettles, toasters and more. Once you have your small appliances and main colour scheme you can easily find items to match if you shop around. I chose mostly purples for my kitchen with powdered lilac walls and deep purple appliances to match. With the black worktops and light wooden drawers & cupboards, it keeps our kitchen looking and feeling clean and fresh! Updating your kitchen on a budget is more than possible with so many great deals around. I managed to find a lovely dishwasher for less than £200 in silver which goes really well with the colour scheme we went with. 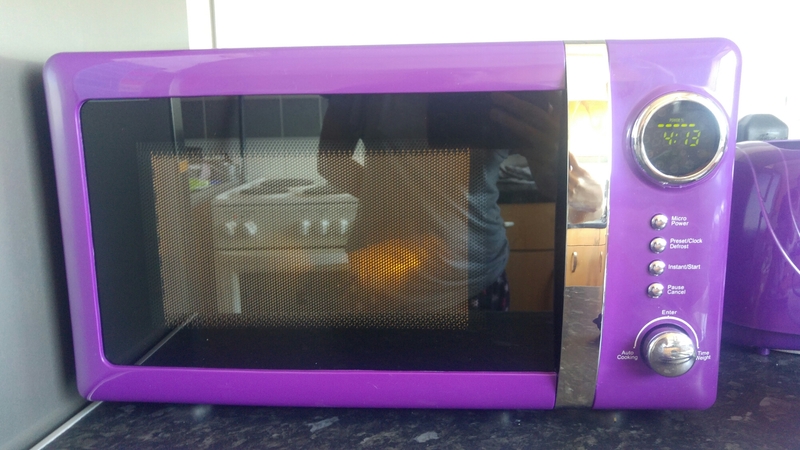 I would never have been able to decide what colour for our main appliances if I hadn’t found the purple microwave first! Our appliances were all mixed colours until we began updating our kitchen. We replaced our washing machine that broke with a lovely silver one too and already had a silver fridge freezer. We are looking at eventually replacing our oven with a silver one too and will be on the hunt for deals for that too! Are you updating your kitchen on a budget?